Lindsay Shepherd sued Wilfrid Laurier University, two professors and a diversity bureaucrat for $3.6 million last summer. She claimed they facilitated harassment against the graduate teaching assistant after she showed her class a TV clip about the gender-neutral pronoun debate. Later that month, the star of that clip – University of Toronto psychologist Jordan Peterson, who famously refuses to use gender-neutral pronouns – filed suit against the same defendants. 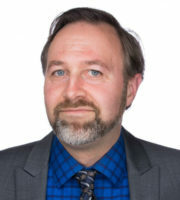 In their private meeting with Shepherd, later posted online, the individuals defamed Peterson by comparing his views to those of Adolf Hitler and questioning his academic merit, he claimed. The professors are now completing the circle of litigation by claiming Shepherd is responsible for any damages against them as a result of Peterson’s lawsuit. They filed a “third party claim” against the recent graduate in the Ontario Superior Court of Justice Dec. 17. While the filing has been the subject of a few media reports, The College Fix appears to be the only media outlet to post the third party claim, which it obtained Monday. Hey does everyone remember @Laurier profs Rambukkana and Pimlott, who brought me into a discliplinary meeting (which I recorded) where they accused me of transphobia & threatening trans ppl & breaking the law becuz I played a clip from public television? 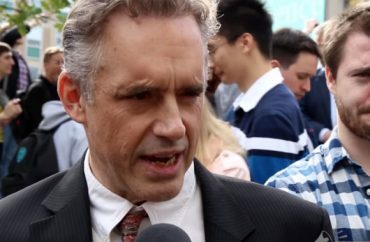 Nathan Rambukkana, Shepherd’s supervising professor, and Herbert Pimlott, the coordinator of her graduate program, argue that Peterson would have no cause against them if Shepherd hadn’t surreptitiously recorded their meeting and shared the recording. In doing so, Pimlott and Rambukkana acted pursuant to their respective academic freedom, in response to a student concern raised about the content and conduct of the tutorial through the Diversity and Equity Office (DEO), and in accordance with University policy and procedure, and the instructions and suggestions of relevant University personnel. This claim of acting under university authority appears to contradict the university’s own investigation of the professors’ meeting with Shepherd. The complaint against Shepherd was later found to have been filed by the campus LGBTQ office, acting on a tip from a student, meaning the university had no grounds to investigate Shepherd for a policy violation. One of her fellow TAs told a magazine that they were not supposed to “generate controversial discussion and do any deep-dive critical thinking” with undergraduates. While the professors deny their comments about Peterson constitute defamation or that he’s been harmed by them, if they are found to have defamed him, Shepherd should be held liable, the filing argues. They had a “private and confidential meeting” with Shepherd, and “could not have known” their comments would be shared outside the meeting, given that Shepherd did not inform them she was recording. The graduate teaching assistant “knew and intended” to share their comments, which could be “widely discussed” by the public. Therefore, Shepherd is liable for all damages awarded to Peterson, and the professors are “entitled to indemnification” from Shepherd and Peterson. In a post for Quillette Tuesday, Shepherd said the professors disappeared for the rest of the 2017-2018 academic year after the school apologized for the incident, and their office doors were locked. She said Pimlott’s name had been removed from the website listing her program coordinator and was told it was in response to “departmental changes.” He was supposed to teach her graduate colloquium course. The following semester, in another one of my courses, our last three classes (which were to consist of graduate student presentations) were nominally “cancelled.” In fact, they went on behind closed doors: The professor changed the program structure, so that students could invite whoever they wanted to attend their own class presentations—which effectively meant that every other student in the class attended everyone else’s presentations, with me being excluded from all of them. This was a way of shunning me—singling me out so that I would miss the opportunity to learn from and discuss the presentations of my colleagues. Shepherd’s public notice last month that Rambukkana was scheduled to return to teaching at the university, with no apparent sanctions, apparently led him to take down his blog on the “Robotic Intimacies” course, she said. The course was currently at capacity with a waitlist when Shepherd checked, but The Fix couldn’t find it on the schedule. She informed The Fix Monday afternoon that she had just learned CS400V had been marked canceled on the schedule. The Fix has asked the department’s administrative assistant and university media relations to explain what led to the cancellation. They would be risking their degrees, their employment prospects, and their graduate-school futures. They could be left with no academic reference letters, which would undermine their opportunity to study abroad or win a scholarship. If their case gains as much publicity as mine did, they’ll be labelled opportunistic attention-seekers and alt-right provocateurs. Read the third party claim and Shepherd’s Quillette post. UPDATE: The Fix could not find Rambukkana’s course on the schedule when this was post was published. Shepherd informed The Fix shortly after that the course was now marked “canceled” on the schedule. The post has been updated.